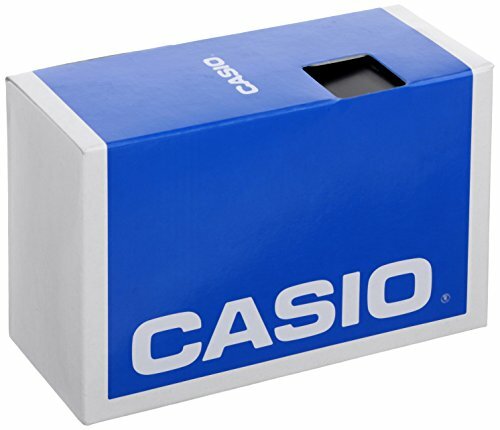 Both classic and contemporary, Casio's Watch #LTP1165A-4C gets its professional, polished look from a stainless steel bezel, crown, and case. It also boasts the precision of quartz movement, is water resistant to 99 feet, and has a mineral crystal to guard against scratches. 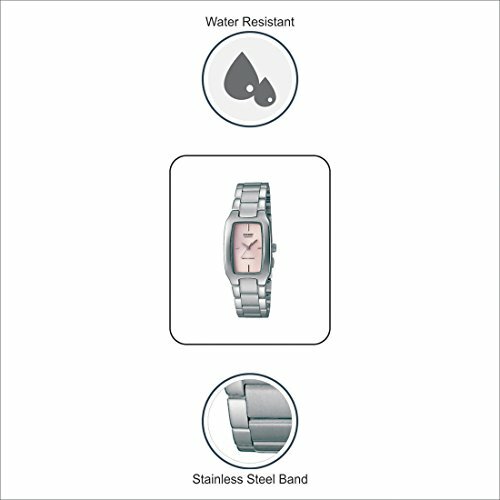 Silver-tone hands and indices on a luminous pink dial instantly charm, while a stainless steel caseback helps provide durability for long-term wear. 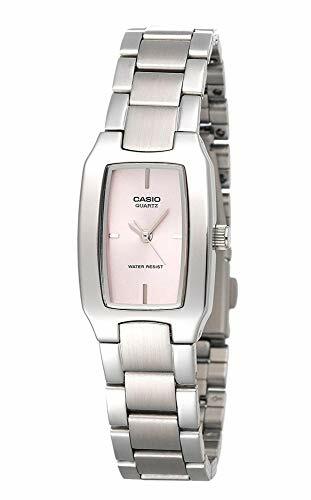 Perfect for the office or dress ensembles, the streamlined design of this Casio original looks both sleek and feminine on the wrist.